This lovely and cozy Brookmeadow 2 Bedroom 2 Bathroom condo is on the top floor. New kitchen flooring, new carpet throughout, fresh interior paint. A large private patio, 2 assigned parking spaces, one covered, plus plenty of open guest parking. Central heating and air conditioning, stacked washer/dryer, and refrigerator included. Brook Meadows is a family-friendly complex. You'll have keyed access to two community swimming pools and spas, tennis courts, and shaded playground. Green grass, shade trees, and parks for playing and picnics in every direction. 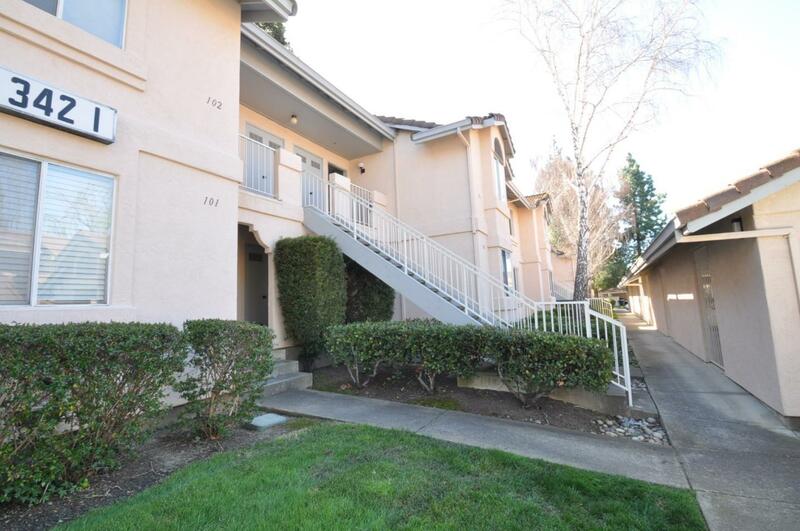 Enjoy the great location that is convenient to shopping, restaurants, schools, highway 580, and to the revitalized downtown Livermore.